JConcepts Short Chord Aero Wing For The B6/B6D « Big Squid RC – RC Car and Truck News, Reviews, Videos, and More! 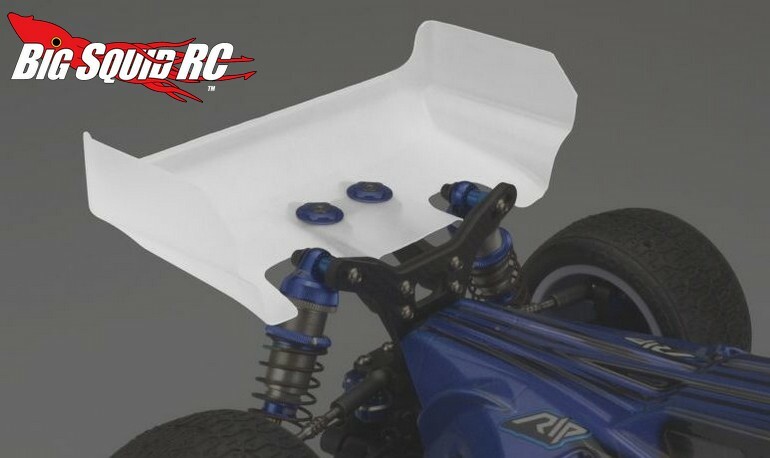 To help fine tune the handling on your Associated B6/B6D is the Short Chord Aero Wing from JConcepts. This latest version of the Aero wing from JC uses a shorter chord that yields different handling characteristics. A shorter chord results in quicker rotation around tight corners, as well as having less aero effect while jumping. The new wing also comes with a forward gurney option, something that isn’t common for 1/10th scale wings. The part number for the wing is #0169 and they are street priced at $11. Hit up This Link for full details, or you can Click Right Here for more JConcepts news on BigSquidRC.